Hi! I’m Max! 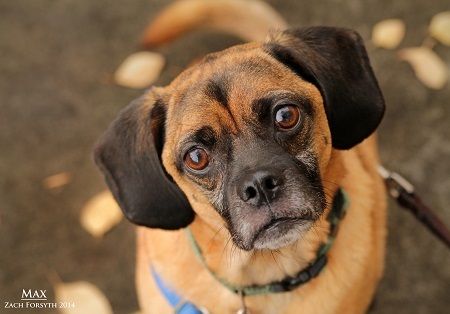 I am a 7.5 year old darling Puggle. 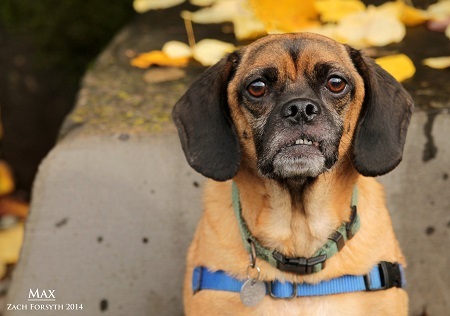 I am crate trained, 100% house-broken, good with other dogs and I get along with adults and kids alike! I sit and shake upon command, and also love playing tug-o-war and fetch. My foster folks say I am a most excellent lap dog and I love leash walks where I can frolic in the leaves and fresh air. I’d love to meet you! I am fixed, vaccinated and microchipped. My adoption fee is $250. Please fill out an application at pixieproject.org or contact us for more information!